Raytec Manufacturing designed and engineered Hangfast® and Hangtite™ Hidden Hangers to be strong and competitively priced. When hidden hangers first appeared as a replacement for spikes and ferrules, they were convenient but they were not very strong. Hidden hangers that were growing in popularity as spike and ferrule replacement were generally weak and failed…. Raytec engineers performed countless performance tests. This testing took place in-house on a test bench and in the field. Testing results showed exactly where the failure point of hidden hangers appeared. 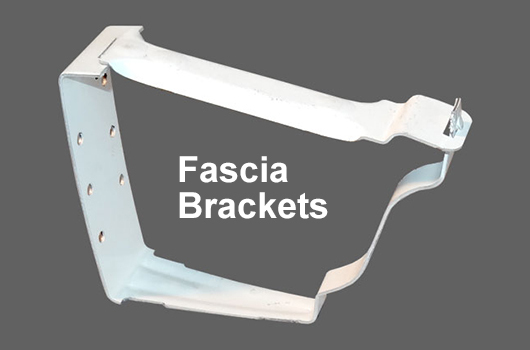 Raytec hangers are designed to be self bracing at the points of greatest stress, while at the same time engineered to be efficiently manufactured to be competitively priced. After Beta testing in the field, numerous installers all agreed, this was the strongest hidden hanger available. 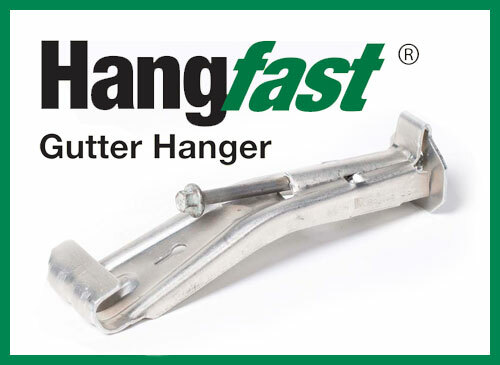 The same testing and R&D went into the Hangfast® hanger as described above. Some installers like the idea of a screw integrated into the hanger because they want to install gutters as fast as they can without having to deal with separate screws while on a ladder or otherwise. Moreover, this eliminates the need for a separate screw inventory for installing hidden hangers. Prior to Hangfast®, many of the hidden hangers were a two piece design which incorporated some type of screw. Others have tried to imitate, but cannot duplicate Raytec’s quality. 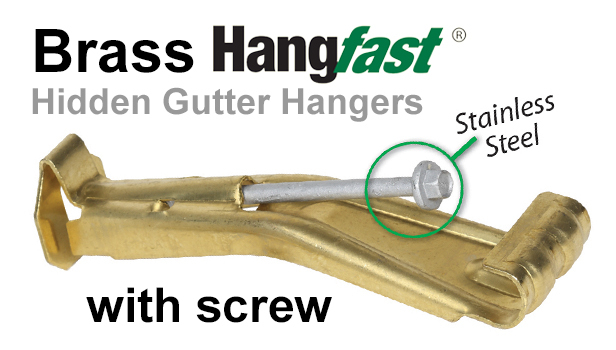 Of course the proprietary screw integrated in the Hangfast® undergoes vigorous testing. It complements the strength of Raytec Hangfast® hidden hangers. A strong hanger needs more than a good design and efficient manufacturing. The hanger itself needs to be made from the correct quality alloy to produce the strongest hanger. Raytec will not sacrifice strength by cutting corners. The mill worked closely with Raytec to produce a specialized material. Then this material is formed into Raytec’s design the results are a strong hidden hanger. 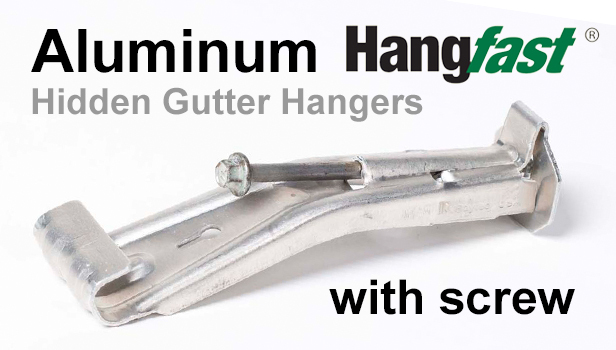 The patented designs of Raytec’s hidden hangers have provided a solution to the problem of weak hidden gutter hangers. 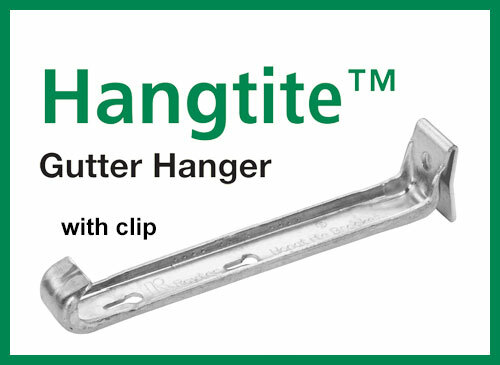 Over the years others have tried to imitate but could not duplicate the quality and strength of Hangtite™ and Hangfast® hidden hangers. The design/engineering and quality materials used in the production of these strong hidden hangers prove to be the best value for hidden hangers on the market today. *A surcharge may apply depending on market conditions. Note: Actual styles may vary from photos shown on website.